Some interesting and exciting personal writing news to enter into my writer’s diary blog this week. Rope Enough (The First Romney and Marsh File) is now available as a German translation on Amazon.de. as well as .co.uk and .com. It is titled simply Dover. That’s the German cover up top. A few months ago I was contacted by Daniela Brezing. She said she’d read the first couple of R&M Files and wondered whether I’d like to enter into an arrangement with her whereby she translated my books and we split the proceeds. She wasn’t without experience of translating English to German in book form. She said that the R&M Files might go down well in Germany. I thought that sounded like a great idea. Who knows, they just might and if you don’t try you never know. So we drew up a contract. Daniela has done the translation and the rounds of her beta readers and this week she uploaded the book to Amazon. More than just the excitement of having one of my books (hopefully more to come) available to be read in the German language I’m thrilled to be part of, dare I say at the forefront of, a development in the evolving self-publishing scene. And I didn’t even do anything. Not so long ago, with all the financial issues and language barrier issues and editorial issues and printing issues and distribution issues, if you weren’t being published by a proper publishing house who would organise and pay for everything to get your physical book translated into a foreign language and into foreign bookshops then forget it. But today with Amazon’s dedicated markets all over the world people are seeing and seizing opportunities. People like Daniela. Bi-lingual people who have a passion for books, who are ready to embrace technology, who have a good entrepreneurial business idea and who aren’t afraid to ask the big question and then do some work to create and develop a market. I think that I’m right in saying that Daniela is not a professional translator just like I’m not a professional author. We both have families, other commitments on our time and other responsibilities before we can find time to sit down and devote some of our ‘spare’ time to our sidelines. Part of my point is that today you don’t need to be a professional, as in it’s your main occupation and main source of income, to be able to succeed in the ebook market place. So long as your approach is professional and your commitment is professional then the gap between professional and semi-professional is closed right down. Technology, self-publishing and platforms such as Amazon have levelled that playing field for those of us who want to make the effort to close the gap. Just in case I have any followers who crave a German language copy of Dover aka Rope Enough it’s free to download from the following Amazon outlets over the weekend. Just click on the links. 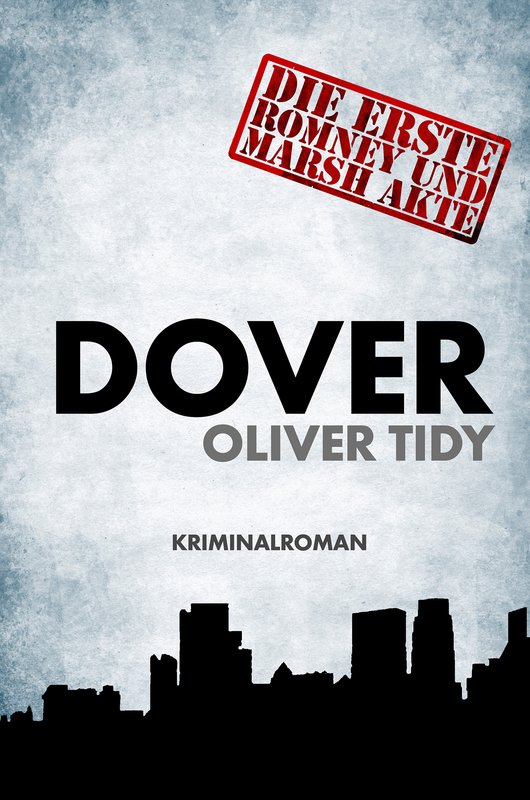 This entry was posted in Self-publishing and tagged Daniela Brezing, Oliver Tidy, self-published translations by olivertidy. Bookmark the permalink. Congratulations, international fame on the horizon. My son’s girlfriend is German, I’ll let her know about your book. Good luck with it. Thanks very much. Spreading the word is much appreciated. Well done Oliver, great plan and I’m sure it will work. I’ve only just got my copy of the blog (published 13th) today (17th) so I’ve missed the free download. That said, if it contains more than the numbers 1-20 I wouldn’t have been able to read it anyway. Thanks for your thoughts, Ernest. I must confess, I can’t even get to ten in German. Maybe this will inspire you to write MORE R&M. That’s a major hint, by the way. Love R&M and want to see more of them! Many thanks, Jan. Good to know you are enjoying the R&Ms. I intend to get cracking on number five before the year is out. Herzlichen Glückwunsche auf der Herstellung Ihres ersten Buches in deutscher Sprache! My school-boy German is a little rusty so I had to run your comment through Google translate. Why are you asking about omelettes? Congratulations, Oliver, and I will reiterate Sarah’s comments above: good luck with your first book in the German language and hope it sells well for you. After spending a lot of time in Sweden over the past few years, I do know they enjoy our television series like Midsomer Murder, which is very popular, and so, too, is Agatha Christie. I find it refreshing we SPEA’s are taking things into our own hands by becoming entrepreneurs and not relying on the publishing houses any more; they might even find themselves redundant one day. Once again, good luck, and keep us posted. Is that was Sarah was saying? Oh blimey. My mistake. It is so interesting. I’m just so intrigued to see how it will do. And, yes, I get a huge thrill out of being part of something like that. The world of publishing sure is a changing. Hi Oliver, I just wanted to say that I found this post super interesting! I’m an MA Publishing student in Oxford and I’m currently writing my dissertation on self-published authors translating their works from English into other languages – how and why they do it, and whether this practice helps to further validate the reputation of self-published authors. I was wondering if I could send you a short questionnaire on the subject? It would be great to hear about some of your experiences with Dover and Eingelocht; your insights would really help me! Sounds interesting. Happy to help if I can. Send it over. Is there a particular email address I can send it to? I couldn’t find one on your blog – apologies if I missed it!